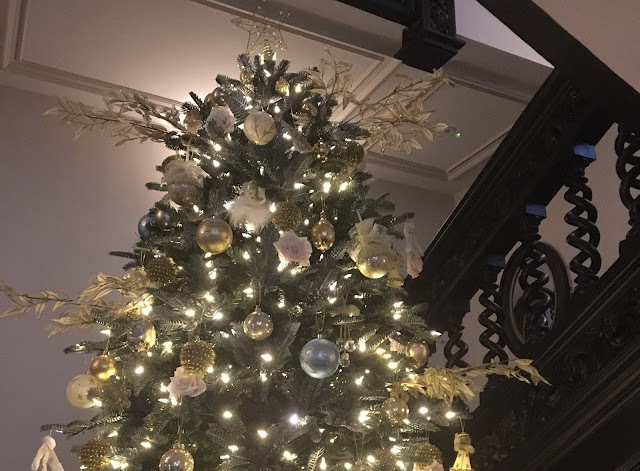 Christmas at The Brierley, Acklam Hall | Middlesbrough | gingerbread smiles. At work, we make a point of going out for a Christmas meal with the team every year. 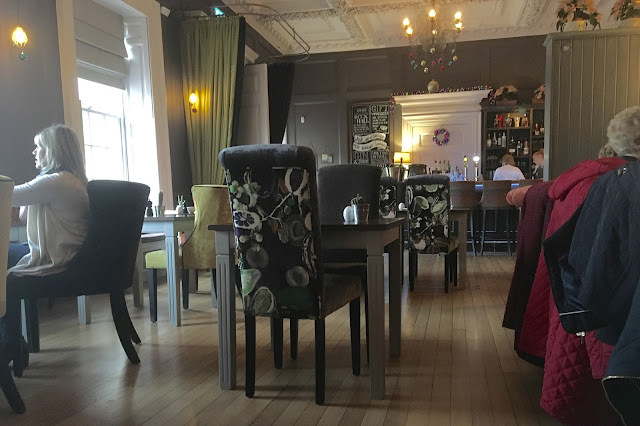 Last year we went to Cena in Yarm and it was delicious. Which so many amazing eateries on Teesside, we decided to try out somewhere new. 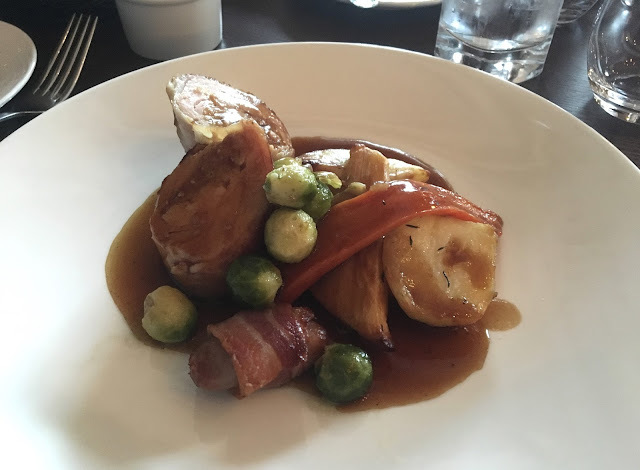 We had all heard about Acklam Hall's restaurant The Brierley and thought it would be nice to try out their Christmas offering! I visited back in Easter with Mum to experience their Chocolate Afternoon Tea. We throughly enjoyed the food and the service so I was eager to see what their meals would be like. Ordering from the Christmas menu, which was full to the brim of things I would have picked, I had the turkey dinner for main course which was lovely. It was probably about the right size for a lunch serving but it could have done with more roasties for my liking! 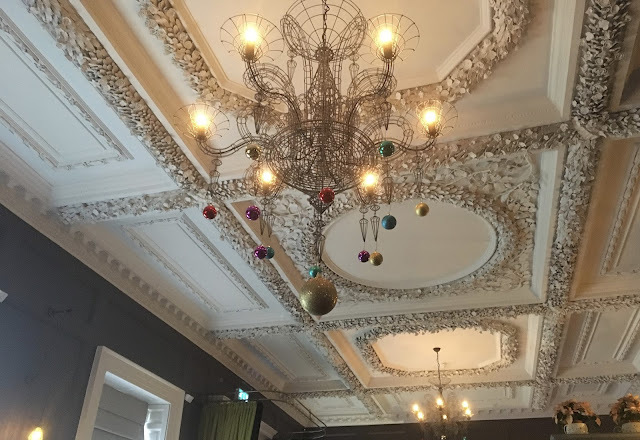 The main room that we were seated in looked so festive which colourful baubles hanging from all the light fixtures. We were right near the roaring fire which crackled every so often making it feel so cosy and Christmassy! 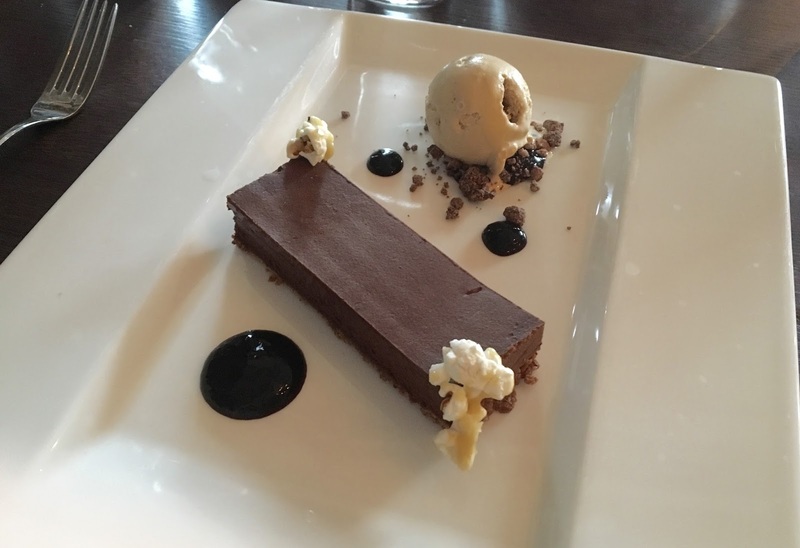 From the dessert selection, I chose the Chocolate Pave. Oh my it was delicious. It was a thick chocolate mouse layer with a crispy thin bottom. The blobs of berry sauce surrounding it complemented it so well and kept it from becoming overly sickly. I was very happy with the portion size as there was lots to enjoy and I'm proud to say I finished it all. 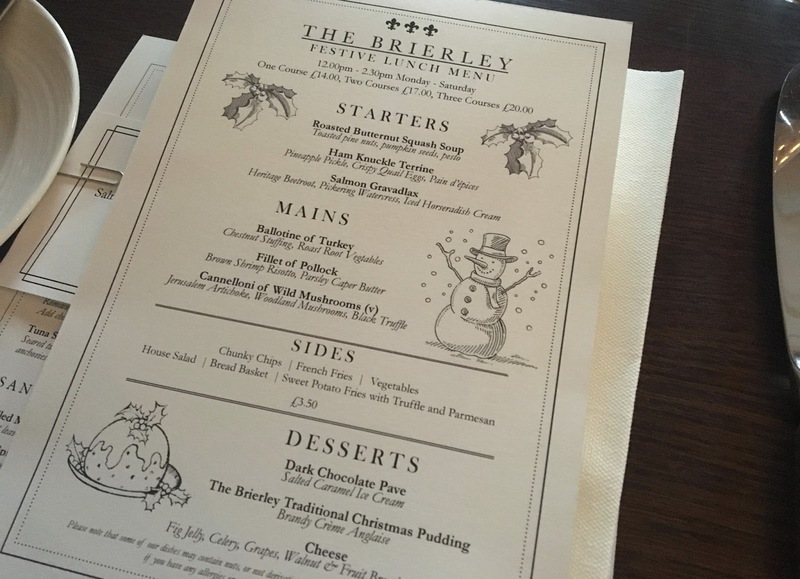 If you're looking for somewhere for a Christmassy lunch this festive season I'd definitely recommend The Brierley. It's reasonable in price for some lovely food in a gorgeous setting. Now that I've visited twice in two different seasonal settings, I really want to go back and try their normal food offering. I bet its just as delicious! 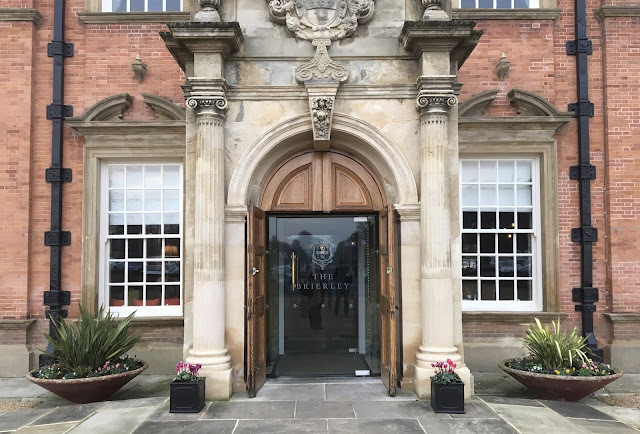 Have you visited to The Brierley and what did you think? Where are you all going for your Christmas meals on the run up to the big day? I love the decor at Acklam Hall and the food looks just as good, might have to treat myself to a little visit! This looks amazing! My mouth is watering right now..!! !